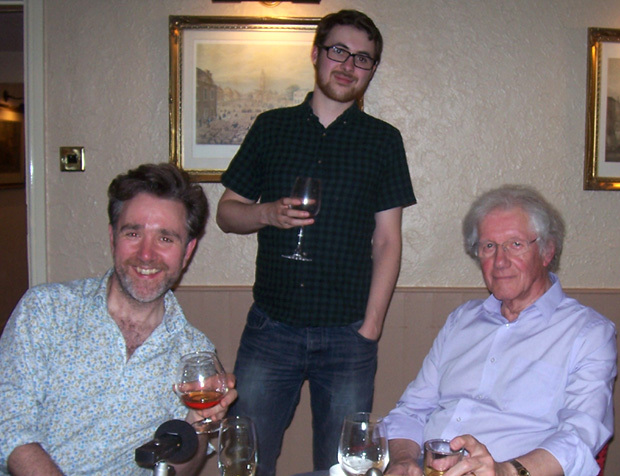 A little while ago, we Summer Winos – to our amazement – were given Roy Clarke’s home address. 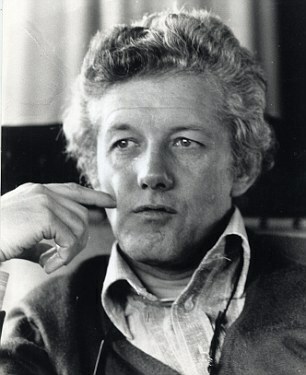 The Roy Clarke… the writer of all 295 episodes of Last of the Summer Wine, and the prolific and extraordinary scripwriting genius behind Open (and Still Open) All Hours, Keeping Up Appearances, and countless other TV shows all defined by his wry, witty and lyrical dialogue and immaculately-observed characters. We’ll be honest… we stared at Roy’s address and twiddled our thumbs for a long time. Months, even. Should we write him a letter, telling him all about the Summer Winos website and our obsession with his work, or should we leave well alone? In the end… we bit the bullet, sent Roy a heartfelt missive expressing our adoration of these iconic shows, and asking – nervously – if he would ever agree to an interview for the website. And then we chewed our fingernails. For two days solid. And then… an e-mail arrived. An e-mail from Roy. He was intrigued and flattered by our devotion to all things Summer Wine, and invited us – unbelievably – to join him for dinner. And so it came to pass that, one balmy September day, we caught the train to Doncaster and emerged nervously onto the platform. And there waiting for us was a tall, silver-haired figure with a warm smile and a friendly handshake. It’s hard to describe how surreal it felt to be whisked away to a luxurious Yorkshire hotel by our TV hero, but as the afternoon progressed, and Roy treated us to a slap-up, four-course meal (and drinks… oh my word, the drinks…) we all settled into our chairs, and embarked on a long, fascinating and very frank conversation about Roy’s long unparalleled career… a conversation that he has been generous enough to allow us to record and reproduce here. 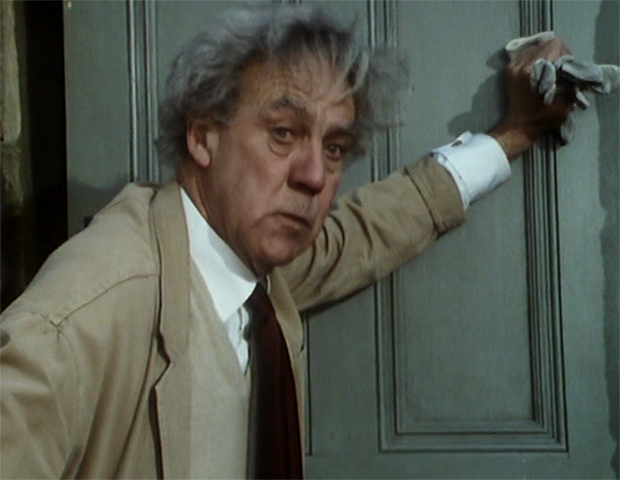 Summer Winos: Let’s start at the start… we were fascinated by the fact that, when you started writing Last of the Summer Wine, a series about older people looking to fill their days, you were a fairly young man yourself. Weren’t you only in your early forties? Roy Clarke: Yes. I started in drama, so I never thought about a sitcom; never, ever. Way before that I was thinking that I wanted to write, but I thought it would be novels. But of course I’d start one every Tuesday, and that was no good. And I never thought of dialogue. I never thought of performance. So it clicked for me when I did think of those things, through [writing for] Radio Leeds. I started in drama, as I said, but everything I do has an element of comedy because I’m scared to death of boring people. My chickening-out is to do humour. And the BBC’s head of comedy at that time had seen The Misfit (Roy’s 1970 series for ATV, in which Ronald Fraser’s bemused old soldier struggles with life in Swinging Britain) and invited me in for a chat. He said, ‘Would you like to try a sitcom?’ and I thought… ‘Sounds nice’. It was short story length… I was still thinking in printed terms in those days. And he said – and I promise you this was the entire brief – ‘we want something for three old men.’ And I thought, ‘What a terrible idea! What are you looking at me for? What do I know about old men?’ I really toyed with it a lot because I wanted to try a sitcom – why not? – but this idea was a real non-starter. So I played about with it for about a fortnight. I couldn’t get anywhere, and I was really on the point of turning it down, when it occurred to me that if I could get them all unattached and free, then they were in the same position as adolescents – kids! As soon as I saw them as kids it clicked, and it worked for me from there. I couldn’t do it as old people. They were always kids for me. Were those three central characters based on anyone that you knew at all? Older family members? Compo probably was, insofar as I used to hear stories from my in-laws in Thorne [in South Yorkshire] about some notorious character that used to go out on the bin lorries – thick as a brick, but very strong. There were all sorts of stories about this guy and I think I sort of pulled Compo from him, really. And then when you’ve got a Compo you want the opposite, so you get Michael Bates as Blamire… but those two would never have been in contact unless you had somebody in the middle that can pull them together, so I finished the trio with Clegg. Lots of people seem unware that the name Compo doesn’t evoke compost, but compensation. It’s how he made his money to live on. 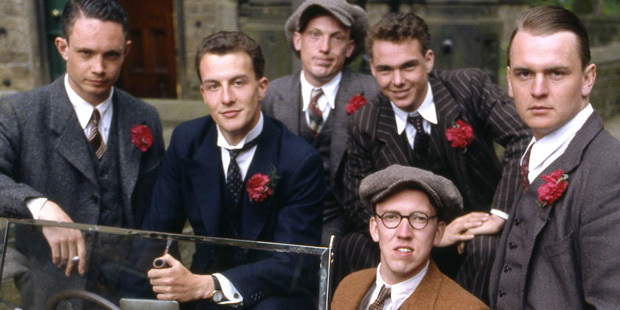 When you watch the early years of Last of the Summer Wine it’s very much a depiction of post-industrial Yorkshire. The mills have closed down and the area is in decline, and the series really captures that. And then when a thing begins to go on, it seems to me that the audience determine its direction in many ways. Of course, you pick up on what they like, and you’re going to give it to them – why not? So it lost any abrasiveness and you got the ‘gentle’ thing. There was an interesting critical response that supports a prejudice of mine: they loved it for starters, until it got popular! The minute it got popular they all backed out like hell! I never, ever afterwards got a good critical review, it seems. Maybe the show had to change as well, being so bound to Holmfirth and with Holmfirth changing so much… by the 1980s it wasn’t the same town it had been in the early 1970s – so you couldn’t set the same kind of show there. Interesting that you mention Clegg being the central ground between Compo and Blamire… we’re always fascinated by his philosophical flights of fancy. How much of yourself is there in Clegg? I think Clegg’s closer to me than any of the others. I used him as a bit of a sounding board. Did you have any input into any of the casting? I picked Peter Sallis. I wanted him. I’d done a TV play that he starred in… I was very impressed with Peter. Well, he was the opposite of Compo… he was a really dapper Londoner! Yes, yes! That’s the one! So I thought it was a terrible idea. What I didn’t know was that apparently he’d been doing some theatre in London where he was playing the Northern guy and Jimmy Gilbert had seen him do it. Bill brought a lot to it. He was a good clown. A good, physical clown. It was a good move. And Foggy, I always thought was brilliant. Awkward, but brilliant! And we guess Foggy only appeared because Michael Bates had to leave after two series… was that because of his illness? He got cancer very quickly. He was in pantomime, and I think he got a knock and it turned bad, and he didn’t last very long at all. He’d just had a massive success in a Joe Orton play at the theatre, and was sort of peaking at the top of his career. It was a great shame. Was that a difficult point for you and for the series, then? To lose one of your three leading men after two series? And often the same character… the ‘Third Man’. Yeah. And every time that you think ‘Oh, this is it’, someone comes up with an idea and you try it… and thank God, it tended to work. But when Bill died, it was in the middle of a series, so we had to find something. Had he died between series, I think that might have been the end of it. They were horrible circumstances for it to happen, but we think the three episodes you wrote – depicting Compo’s death and funeral – were phenomenal. Some of the best material you’ve ever written. They were. That’s the thing about pressure. They had to be written very quickly, and for a while you can do that. Only for a while, but the pressure seems to help somehow. Where did the character of Foggy come from? He’s such a well-rounded character, and we think the key to him is that he is a fantasist… but you’re kind of sympathetic to his fantasies because they’re what keep him going. It’s a mysterious thing, this likability… which is so necessary in comedy, and this is why I have less admiration for a lot of modern comedy, because it’s got no likeability at all. It’s hard, it’s vicious, it’s funny, but it’s not nice in many ways. And I think the great comics have niceness – Morecambe and Wise, Tommy Cooper, George Formby, Will Hay…. Yeah, Norman Wisdom. They might be playing quite hard characters, but they’ve got this likeability that comes through. I mean Ronnie Barker (in Open All Hours)… if you take him line for line, he’s an appalling character, but somehow it shines through. That element of niceness is very important. Can the actor surprise you too, and bring things to the part that you didn’t expect to see? Oh, yeah! And I like to know who the actor is. When you’re doing a pilot and they’re your characters entirely – there’s no flesh and blood in them at all – you’re alright to a point, but once I hear their voices, then I can hear them when I’m at home writing, and that helps a lot. Towards the end of the 1970s, the series suddenly became an extraordinary mainstream success. Did that take you aback a bit? Yeah. I was surprised that the thing ever worked from Day One. I really thought it was a bad idea. And it didn’t get huge ratings when it started… It was a slow starter. But the BBC in those days would persevere. Dad’s Army was another example. Today it would have been junked, I think. It’s often the little things that made the the show so perfect. We love things like Bill Owen singing little showtunes and we were wondering if that kind of thing would have come from you? ‘My Aunt Nellie had a wooden leg…’ all that stuff! No, that would have come from Bill, but through Alan [Bell, director] who’d let him do his musical things. They’re mainly old school friends, because the main trio talk about their school friends a lot, often in quite colourful terms. Were any of those based on your own school days? No, but I have a thing about names. Names are very important. They’ve got to fit a character or there’s something wrong. They don’t feel right. So I pore through telephone books and God knows what, sometimes. There’s a rhythm to them. Which reminds us, where does the name ‘Foggy Dewhurst’ come from? All that experience and all of that old school… I don’t know, he was just a one off. The shape, the size, the look, the voice – everything was right. Were you writing Wally before Joe came along? Was he the type you had in mind? It was a perfect fit; let’s say, but I just had some generic, hen-pecked, small, opposite to Nora Batty in mind. (Laughs) Yes, when telly first began all those old Music Hall acts were still available, and ready and willing. You couldn’t kill ’em. They’d got the energy somehow, however old they were. Was that a godsend to you; knowing that these guys were out there and that you could use them? I never really thought about casting like that. But Alan Bell was always very inventive with casting… and cheeky, really. He’d come in and say ‘How about so-and-so?’… and I would never have dared to ask them. There’s a great episode (Crums, 1988) where the Music Hall and variety double act Eli Woods and Jimmy Casey make a cameo appearance as two drunks… it’s lovely. Was that an Alan Bell brainwave? Did the change of directors, from Sydney Lotterby to Alan Bell, influence a change in your writing? Did you tailor your approach to suit the different directors? Not originally, because change takes place and you’re unaware. But yeah, I think afterwards you realise that Alan was very filmic. He does an extraordinary job on Getting Sam Home. Both of us just adore that film. Was it a proud achievement for you to do what is effectively a Last of the Summer Wine feature film? Yeah I liked it very much. I was very pleased with it. And again, it was Alan pushing it – wanting the film. And when Brian Wilde left in 1985, you had to find another new regular actor in Seymour Utterthwaite – played by Michael Aldridge. Was that a big challenge? Yes, because if you don’t get it right that’s the end of the series. And the series was absolutely huge at that point. We were looking at the audience figures and it had twenty million viewers at that stage. Say that to a television executive now and they’d faint. A different ballgame then, though. But you do your best. Again, nobody knows what’s going to work. There’ll always inevitably be some disappointments; people who liked the one before would always complain. Some would be disappointed in what was to follow while others latch on to it and you’d be all right. But, yeah, nice guy. Your career in the 1980s suddenly seemed to explode into this absolutely prolific period… you were writing Summer Wine, Open All Hours, Flickers [ATV comedy-drama, starring Bob Hoskins] Mann’s Best Friend [Channel 4 sitcom, starring Fulton Mackay]… what was the workload like? You must have been working sixteen-hour days! No, no, no. I couldn’t do that. I’m an idle bugger, actually! For instance, I need a peaceful evening, I really do. I wanna read, you know. So I’m not a workaholic. The secret is that if you keep doing it regularly you get through a lot of work. It’s not usually a trauma for time and pressure, it’s just a steady thing. Do you treat it as a day job then – starting in the morning and then clocking off at a certain time? Absolutely. I always thought I was the most disorganised guy available, but when it comes to work I suppose I’m fairly well-organised. In terms of the amount of writing, anyway. Filing it – forget it! I don’t suppose I could find any of these scripts. I don’t know where they’ve gone. And keeping abreast of stuff for the Inland Revenue – forget it! But I can do the work. It’s curious watching the episodes that we’ve reached now, from the mid-1980s… you widened out the cast to bring in lots of new characters. What was the thinking there? Is that a problem when you’ve got a big group of actors? We’re not far off watching First of the Summer Wine. Was that your pitch to the BBC, or did they come to you? No, that was mine, because I could visualise what a nice combination it would be if – during the same week – you saw a First of the Summer Wine, and then you saw a Last of the Summer Wine. I thought that would have been a most intriguing thing for me to do, as a writer. Whether it would have been intriguing for the audience is more controversial, but I think it might have gone down. When you get solid, substantial characters that you’ve had for a while, you get fond of them and they are basically – for you – real people. And a natural interest arises in what they were like years ago… and why not? So, yeah, I was quite keen on that, and I was sorry when it didn’t work out as planned. When you set about writing First Of, did you already have the characters’ history and backgrounds in mind, or did you concoct it for the show? Are you a nostalgic person, as a rule? We’ve met some that aren’t. Drew’s mother will throw away anything at the drop of a hat. Getting very anoracky here, we’ll pose a question of continuity… in Last of the Summer Wine, when Clegg and Compo meet Seymour for the first time, they’ve no idea who he is. But in First of the Summer Wine they’re growing up together. Did you care, or did you just say, ‘This is what works for this particular series’? You rely on the fact that nobody’s going to notice! 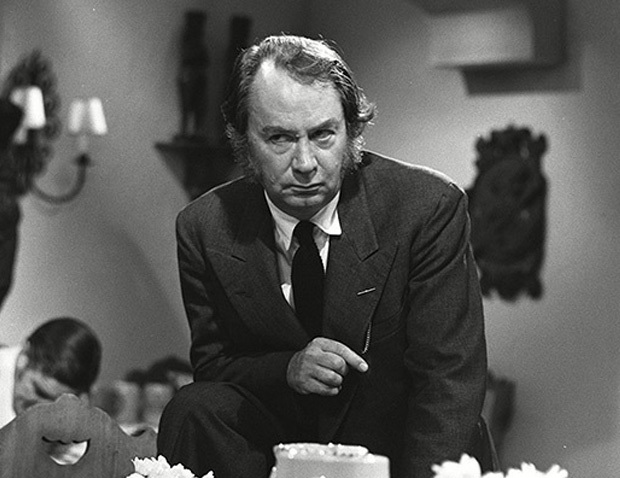 The main show, especially in its later years, has been compared to Ealing comedies. Were they an influence? If so, it would be unconscious… but it’s quite reasonable to think so, because I watched all of those films. That was one of the big kicks for me about getting into the profession… it’s unlike most fields in that you don’t need any qualifications; once you’ve got in, you’re immediately accepted. So it was an enormous kick for me to be working with people like Thora Hird, who I used to sit in cinemas and watch and idolise. You know… it was lovely. Is there a Yorkshire voice? We watched your pilot for Oh No, It’s Selwyn Froggitt! last night. You wrote the pilot and Alan Plater wrote the rest of the series, and there are similarities between your work and his. Watching your stuff, we’re sometimes reminded of Alan Bennett as well. Is there almost a Yorkshire vernacular that you fall into? Certainly the vernacular is there, so maybe so. If you spot these things, then I guess it’s there. I think it’s fatal. I wouldn’t want to know. I think you wing it. If you thought too much about it, I think you’d be in trouble. You mentioned that, if Bill Owen had died between series, that you would have probably called it a day with Last of the Summer Wine. Were there any other occasions when it crossed your mind to stop? Yeah, every time a major character goes, you wonder about it. One of the things about Summer Wine that I’ve always been grateful for was that somehow, for many years, we were left alone. ‘Oh, they’re going to do Summer Wine next year; it’s on the schedule…’ and nobody interfered… except for cutting the budget every year. We were left alone to the point that I began to think that the new management within the BBC thought it was an ITV programme! So we were doing alright, and we just used to get on with it every year. But finallly there was a pressure to end, and I can’t grumble. I mean who the hell else would support you for thirty-seven years? Do you miss it? Do you miss writing it? Yeah. I mean it’s been my career, basically. It was there all the time and… yeah, I do. Are there ever moments when you think, ‘that’s a good idea for a Summer Wine script’… and then there is no Summer Wine script to write? Right! (Laughs) That can happen, yeah. When it did come to the end, was there any temptation – or even the opportunity on your part – to a write a definitive end? The ending has a nice air of finality for that particular series, but possibly not for the whole shebang. No, but that was me. For several years there was the possibility that it might be the finish, so I always deliberately didn’t do a big splash – ‘This is it, this is the end.’ And it was the same for the final one. I knew by that time that it likely was, but I still didn’t make a huge splash about it. Just in case, you know? One of the things we like about the final series is that there’s a thread running through the six episodes about Pearl throwing Howard out of the house… it’s a loose story arc. It was a kind of farewell. It wasn’t blatant, but it was there, I think. You mentioned at the start of our chat that, in your early days, you thought were going to be a novelist. We seem to remember that when Last of the Summer Wine ended, you said that you might finally finish your novel. Was it about the police? Do you think you ever will? I don’t think it was policemen. I’ve had a fantasy novel I’ve been working on for about thirty years. I suspect it’ll never happen but it’s kept me sane, all through the television. I’ve got about forty-five versions and about a million words! It’s an organisational job rather than a writing job. When we say fantasy are we talking Tolkien and C.S. Lewis kind of territory? No, we’re talking Merlin, but he’s now in a psychiatric ward. Yeah, it does. I think life’s so weird that who needs fantasy? You’re almost there anyway! Oh…. The Wanderer. A friend of mine, actually, was trying to get into films and he talked me into it. Mmmm… not wise to leave your roots. Is that the key, do you think? To write about what you know? Well, there’s no question about it; that helps enormously. I suppose at my age I’m cheating a bit, because what do I know about the modern age? I can never do anything now. I’m still pulling stuff from my experience of life. I don’t know this modern world at all. I’ve got an iPad, but all I use it for is if I’m in the car and I get a breakdown. I don’t know what the hell it does otherwise. While we’re on the subject of technology you wrote a piece for BBC iPlayer a few years ago, starring Russ Abbott… and it was fantastic. (Final Message, from 2015… in which Abbott plays a man recording his last message to the world before committing suicide). How did that come about? Shane Allen is head of Comedy Commissioning, and he’s good news. If you hear him give a speech, he’s funny… and that’s a happy coincidence these days in management, I find. So I’ve got a lot of time for Shane, and for some reason he wanted several things like that… so that was one of them. An odd one, but I enjoyed doing it. Russ Abbot’s a very good actor. Is there a difference between comedians and actors? We always think that with older sitcoms it often wasn’t comedians that were cast, it was actors that could do comedy. With modern sitcoms, you tend to get stand-up comedians cast in lead roles. And it’s a tough ask for them. It’s a different ballgame, isn’t it? The only link being comedy. The assumption that they’re going to be able to do both is not valid really. But maybe some do. With great sitcoms you need some poignant acting, too. Yeah, you need a bit of heart in it. Sure. Especially these days because they tend to be rather hard… stand-ups. You said to us you’d considered yourself basically retired… and then Still Open All Hours came Along. Was that David Jason’s doing? Absolutely, yeah. I owe it to David, no question. They were looking for a series for David. They couldn’t find anything that seemed to work for him and he mentioned in a meeting sometime, ‘Well, what about Roy Clarke? What’s he doing?’ I told you they said, ‘Is he still alive?’ but it worked out from there! They approached me and said, first of all, to try a new series entirely – nothing to do with Open All Hours, just find some new idea for David. No, not immediately, but when someone rings up you find one pretty quick! So we did this idea and I met David several times with this detailed idea in mind and it changed rapidly… because we went for a meal and were talking over this idea, and the waiter came over and he was so fantastically gay! He was lovely. We’d say ‘Can we have ten minutes?’ and he’d say ‘I’ll give you five!’ We loved him and so we changed the idea – ‘Why don’t we do it with him?’ So we figured out a programme with him, and I did a script, but we didn’t get anywhere. During the course of another meeting, I think it was Mark Freeland, Head of Comedy at the time, who said ‘What about doing more of Open All Hours?’ David was keen, and I was keen, and that’s how it began. No, that’s too much to hope for, really. I hoped it would work, but that was a real lift. Yes. I’ve been lucky. I mean, everybody needs to have a lot of luck in whatever they do… and I’ve been lucky. As you can gather, Roy is an incredibly modest and self-effacing chap… and tended to brush aside all of our compliments about his work! But he’s also absolutely terrific company, and we can’t thank him enough for an afternoon that neither of us will ever forget. He was kind, patient, funny and incredibly welcoming… and wouldn’t let us throw a single penny into the pot for the slap-up meal and constant supply of beer, wine and brandy that arrived at the table all afternoon. In his own words – ‘I’m determined to send you two buggers home pissed!’. And good grief, he succeeded… neither us can remember a great deal about the journey home, and we’re proud to have been drank under the table by the most resilient octogenarian we’ve ever met. Thanks so much to Roy Clarke for his time and generosity, and for… oh, everything. What a fantastic piece of work! Loved reading every bit of that, chaps. Cheers, Chris. It was an unreal day. Absolutely brilliant! Thank you. So many questions I’ve always wanted to know about LOTSW and Roy Clarke’s writing. You nailed them! Smashing work, Bob, fascinating interview. It was interesting that Roy heard the voices of the actors when he was writing episodes after the show had got underway, and I didn’t know the viewing figures were so huge, well deserved. Thanks, John! Nice to see you around these parts. Such a wonderful interview. Really interesting to read Roy’s perspective on so many different aspects of his career. Loved that he also drank you under the table! Hope I can manage that when I’m his age. Thank you for the write-up! Cheers, Rhys. Honestly, the man is a machine. We were rambling and giggling, full of wine and brandy, and he was still as cool as a cucumber. What a gent! A huge thankyou for sharing the transcript by Roy Clarke. Which you taped throughout a very long lunchtime. Regards, that you sooo much once again to havery shared with a fan in Holmfirth.! Thanks, Joan… hope all that scrolling hasn’t made your eyes go wonky! Fantastic interview. Great range of questions, many, as mentioned, we all wanted asked. It’s always brilliant when an idol doesn’t disappoint but Roy certainly seemed to go well above your expectations- fabulous!!! A thoroughly decent gent. Chuffed to bits for you guys. Cheers, Linda. We were determined to ask the questions that we’d always wanted to ask! Congratulations on your evening with Roy Clarke! That must have been epic! I found it interesting that he needed to make the show less abrasive (more gentle) to appeal to the masses, while he sees today’s British comedies as largely too abrasive. I also found it interesting that he compared “Summer Wine” with “Dad’s Army.” Both series are remembered fondly through museums and tours in the towns that hosted them. (Sadly, while shows like “Keeping Up Appearances” and “Are You Being Served” became huge favorites in my local market, neither “Summer Wine” nor “Dad’s Army” ever got much airplay in San Diego). Thanks for such an insightful interview with the incomparable Roy Clarke! Thanks, David – it’s always interesting to hear from US fans. How did you discover the show? On a trip to Utah, the local PBS station was playing some Britcoms we’d never seen before. The timeshare we stayed in had a VCR I could record with. I returned home with a couple episodes of Dad’s Army and Summer Wine. Aw… it all started as a holiday romance! That’s interesting, cheers David. I love the shows, till last week still airing on Vision TV (at least) in Western Canada, but never seen the early days … A great interview and insight to the years of the show. Thank you to Roy and all your team. Although a Canadian, I have a UK background, so no problem understanding some of the expressions that others do … I just wish for more, and miss Compo and cry every time the three episodes of his passing are viewed … a super job of managing the sad time, and I am so pleased that it happened mid season and not in between seasons, beautiful capturing of a sad bereavement. Thank you all. Thanks Julia, that’s really kind. It’s worth checking out the earliest series if you get the chance (maybe on DVD? )… they’re very different to the later years, but incredibly funny and thoughtful pieces of TV.